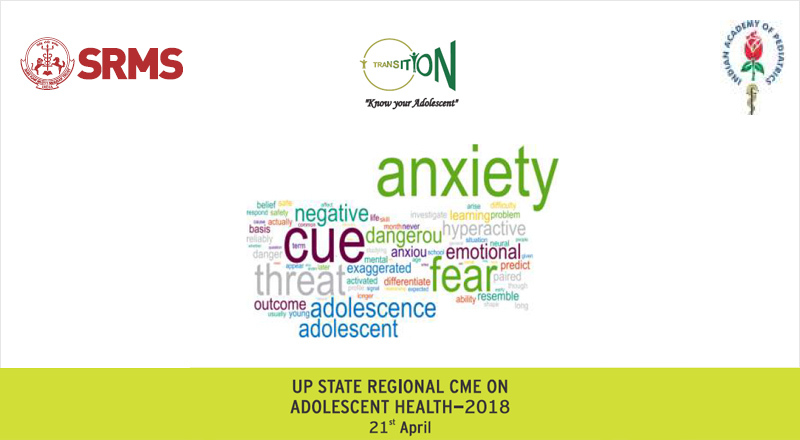 Lectures on adolescent problems by renowned faculties experienced in adolescent health. Interactive sessions involving the parents, teachers and students. In India 23% of our population comprises of adolescent. It is a period of preparation for undertaking greater responsibilities but at the same time they are vulnerable to improper, immature and misinformation. Adolescents face problems regarding body image, independence, peer pressure, exuality, anger etc. They are falling prey to substance abuse, improper impulse control and rebellion and suicidal tendency. There is an urgent need to understand adolescent behavior and they be dealt with empathy by parents, teachers, society and health care professionals. A humble initiative by the Department of Pediatrics SRMSIMS, Bareilly is a step toward achieving a healthy transition of adolescent into healthy adults. Let us come together and rise to the occasion to empower and strengthen adolescent health.